As cannabis consumers grow more familiar with the plant and gain familiarity with a higher number of strains, most of them develop personal favorites and enjoy the unique flavors and effects. Like consumers of produce and other natural foods, cannabis enthusiasts want to use products from natural, healthy sources – and compost may just be the best choice for purely organic cultivation. Organic fruits and vegetables and grass-fed beef are now readily available and continuing to gain popularity. These foods taste better and are healthier for those who eat them. People want their food to be as natural as possible, with humanely raised animal protein free of growth hormones and dyes. Because of this understandable preference, it should come as no surprise that many people would prefer organic cannabis as well. The flavors of organic cannabis are superior to its counterpart grown with synthetic fertilizers and soil additives. Some cannabis connoisseurs can taste the tell-tale flavors of synthetic fertilizers that sometimes linger in cured dried flower, especially if it wasn’t properly flushed prior to harvest. When growing cannabis, many commercial and home growers decide to go organic. The more they grow, the more they want to learn more about organic approaches to cannabis farming. The best way to do this is to use organic compost-amended soil supplemented with organic fertilizers. There are some outstanding organic soil amendments and additives sold in bottles in most nurseries or on the internet, but using these products exclusively will not necessarily result in excellent soil. Because cannabis does best with varying nutrient levels at different stages of growth, compost-supplemented soil provides an excellent balance you simply can’t bottle and sell. 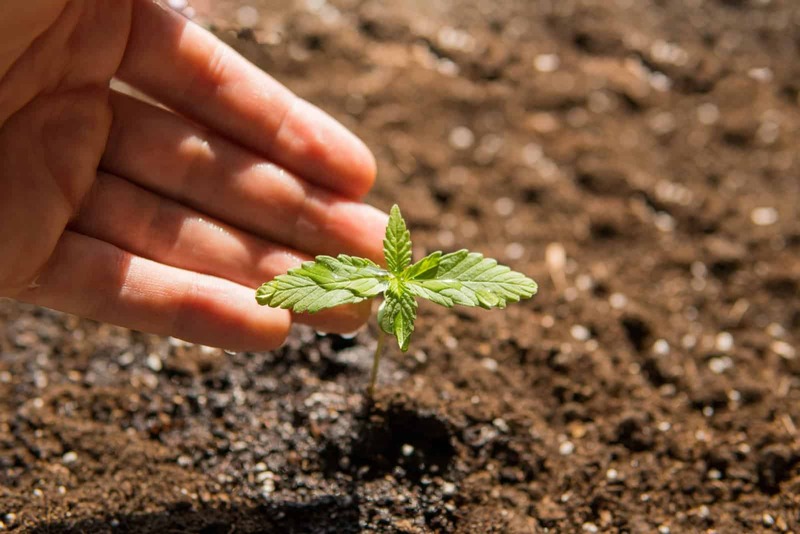 Many brands of bottled fertilizers combine three or more different bottled fertilizer products to be fed in varying ratios during the vegetative, flowering, and pre-harvest stages of the cannabis lifecycle. This approach is not as purely organic as using compost as part of the cultivation equation—although many growers dismiss the difference and choose to go with bottled recipes for valid reasons like simplicity. Other growers believed that a superior approach is using compost-amended soil and a more conservative fertilizer regimen. Simply stated, compost is decomposed organic matter. Those who create their own recycle leaves, grasses, and vegetable matter and scraps into rich soil amendments that plants thrive on. The growing benefits of compost and the way it makes plants perk up and hit their peak earns it the name “black gold” among an appreciative group of gardeners, as well as commercial and home cannabis growers. 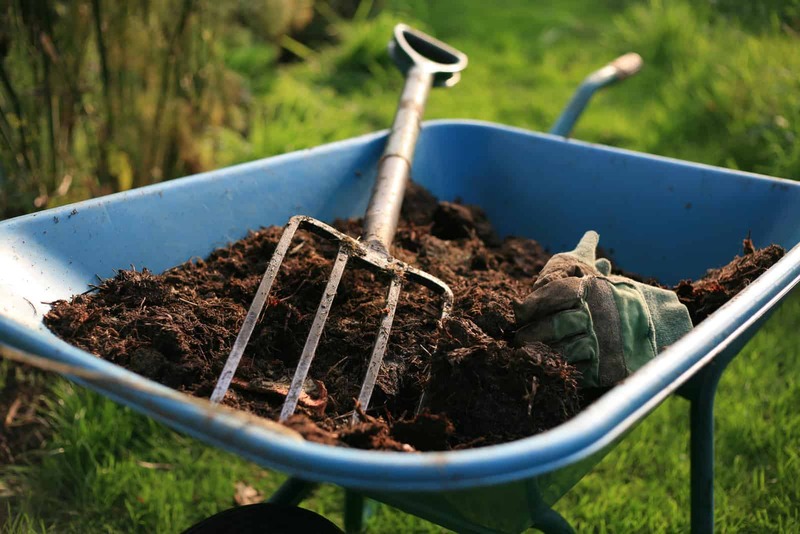 One way to obtain compost is to purchase it at a garden nursery or order it online. Bagged can be expensive if you have a large grow, but for people not able to conveniently create their own, it’s an available option. There are a variety of organic mixes available from a wide choice of companies. Compare prices and the quality to ensure you’re getting the most bang for your buck. All compost is not created equally, so if you choose to buy it, research ingredients and online reviews from those who have first-hand experience with the available brands. Like any consumer product, quality can vary. You want the very best for your cannabis grow, so doing your homework before purchasing will help ensure you get the best possible results. Avoid any compost-based soil mixtures that contain any synthetic fertilizers as a supplement or ingredient since the presence of synthetics defeats the entire purpose of using compost as a fertilizer. Building a compost pile and making your own is the best way to guarantee you have a regular supply of top-quality nutrients. Composting is best done when the weather is warm and the days are sunny, because the chemical process of breaking down organic material halts when temperatures dip and freezing weather occurs. Although there are ways to compost during freezing weather, most people aren’t growing gardens at this time, and definitely aren’t growing cannabis outdoors during winter, so it’s best to focus on this endeavor during the warmer spring, summer, and fall months. To build your own pile, the first step is to establish a location. You want this to be in a warm area away from high-traffic areas. Compost emits an odor, so keep that in mind when establishing an area. The location should be easily accessible and not far from a hose, because water supplementation may be necessary during warm weather. The best time to begin composting is spring, when nitrogen-rich material is in abundance, but comparatively little carbon is present. Carbon in the form of dead leaves and grasses will occur in abundance during the warmer summer and fall months—and these materials are great to add to your compost pile. The process of making compost involves the breakdown and decay of organic materials, so locate the compost away from any wooden garden sheds or home structures. The pile requires a base, which can be simple or more elaborate. Many people choose to use a simple plastic container of a large size appropriate for their needs. You will need to drill holes in the bottom and sides of the bin to aid the composting process, and a secure lid is important to retain heat and retain moisture. You can make pile foundation and base from a wide variety of materials. Wood stakes to form the sides, with a wire interior and plastic bottom is another popular option. Since compost requires turning and mixing the material every few days in the beginning and slightly less often once it matures, some cultivators choose to buy a compost tumbler. Tumblers make a lot of sense because they retain the material well and make the turning fairly simple. The larger tumblers will create better end product more quickly, and there are a wide variety of designs available. Without a tumbler, you will need to manually turn the mixture. Ideally, you’d begin with a layer of dried leaves and grass. If you only have access to green plant matter, you can shred and include newspaper. As you layer your compost, you want a ratio of approximately 60 percent carbon (dry leaves, grass) to 40 percent nitrogen (green plant matter). Good sources of carbon include untreated cardboard, straw, untreated wood chips and sawdust, dry twigs, paper towels, and used animal bedding. Upon the initial layer of carbon material, you want to add nitrogen-rich green plant matter. Good materials include cow and horse manure, garden trimmings, grass clippings, vegetable waste (carrot, cucumber, pear, apple, and potato skins, etc.). The third, top layer should consist of soil and potting mix that doesn’t contain insecticides or synthetic fertilizers. This mixture will begin to decay and decompose, breaking down and recycling organic matter into nutrient-rich compost. Check the compost pile regularly and stir it every few days, adding supplemental water when the interior of the pile begins to dry. Although you can add a wide variety of things to your compost to create an excellent organic soil amendment, there are some items you do not want to add. These undesirable materials include dairy products, fat, meat, fish, dog or cat feces, coffee or tea bags, citrus peels or onions, coated paper products, and coal ash. Compost differs from fertilizers. Compost is a soil amendment that enriches the soil and creates a beneficial environment for plants to grow. Fertilizers feed the plant more directly and may overload the soil with nutrients. Compost creates a richer, more balanced soil—and poor soil conditions are a main cause of poor plant health. Compost does not replace fertilizers but creates excellent soils. Compost feeds the soil while fertilizers feed the plants more directly. A combination of both, sourced from organic material, provides optimum growing conditions. Organic fertilizers trusted by the United States Department of Agriculture (USDA) organic farms, include products such as those sold by AgroThrive. Compost is easy to use with outdoor cannabis grows by merely topping off the soil surrounding the plants. The amount you should use depends on the quality of the soil and its nutrient level. Topping the growing soil with compost in the fall will ensure a good growing environment in the spring. An occasional topping of compost during the plant growth cycle will boost soil health and minimize the necessity of adding fertilizers on a frequent basis. Mixing compost with indoor plant soil is great way to start your plants and make sure your plants start with the best soil possible. Conservative topping of the soil periodically creates ideal growing conditions. If you choose to use compost for your indoor or outdoor cannabis grow, you will likely notice a difference in overall plant vigor. Following harvest and a proper cure, the flavor and even burn of the finished product will be connoisseur quality. If you haven’t tried compost when growing cannabis, by all means give it a try. Very likely, it will part of your cultivation protocol with all future grows.